Bhagavad Gita Art Gallery--Plate 5: When Arjuna saw all different grades of friends and relatives, he became overwhelmed with compassion.. When Arjuna saw all different grades of friends and relatives, he became overwhelmed with compassion. 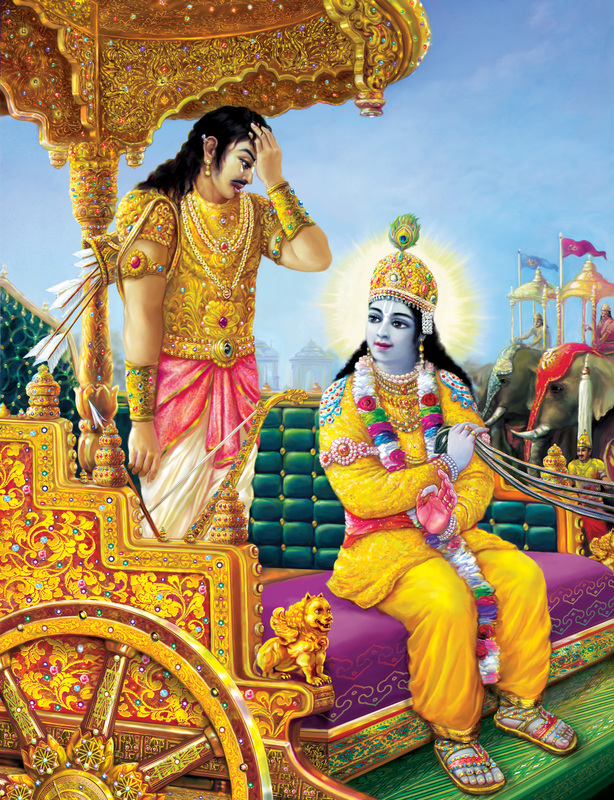 PREVIOUS Bhagavad-gita 1.26-29 Arjuna laments upon seeing his relatives standing opposed to him in battle. Krsna, smiling, is ready to console His friend by His transcendental teachings.